North Brisbane bus interchange is located at Westfield Chermside. Nearest train station is Virginia, with regular bus shuttles to Westfield Chermside. Event Cinemas Chermside boasts; 2 Gold Class, 2 Vmax and 12 Senstadium Cinemas, additionally a private licensed function room hosting up to 110 guests cocktail style is also available on site. Hosting an array of corporate events, birthday parties and fundraising events. Contact us today for more information about your upcoming event! Event Cinemas Chermside is the ultimate experience for movie-goers. Featuring two Gold Class, two Vmax and twelve regular cinemas all with state-of-the-art digital projection, Dolby Digital surround sound and Real D 3D capable screens. 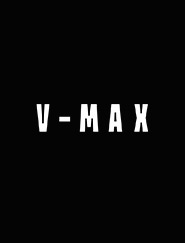 There’s our big movie experience – Vmax, with bigger seats, bigger sound and huge 20 metre digital screens for the maximum impact. 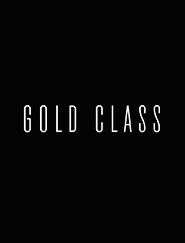 Or Gold Class, the best luxury cinema experience in an intimate setting with every seat, literally, the best seat in the house. Enjoy waiter service in our exclusive Gold Class cinema with food and drinks delivered to your seat throughout the movie. Stop by our Vmax Bar & Cafe for a beer, wine or coffee before your movie or visit Scoop Alley – our self-service candy bar with delicious offerings of hot food, ice creams, popcorn and our favourite frozen coke. Whether you’re after the latest Hollywood blockbuster, family movies and school holiday activities or Alternate Content screenings; Event Cinemas Chermside has it all.